The sun is making frequent appearances and the snow is rapidly melting–Spring might actually be coming on time this year! And that means it’s time for some Spring Cleaning. We’ve rounded up some of our favorite cleaning products that make it a little easier to keep up with the kitchen-born messes that are just one of the joys of parenthood. Will your family be growing in 2019? Here are our top 19 baby products you should get in the new year. Keeping baby close provides valuable peace of mind, especially in the first few months. The Venice Child California Dreaming Portable Crib is perfect for home, and it folds down for travel so baby will have a safe sleeping environment wherever you go! This portable sleeper is equipped with seven height adjustment levels, optional incline, and even includes storage underneath for all your middle-of-the-night needs. Shop Venice Child now. 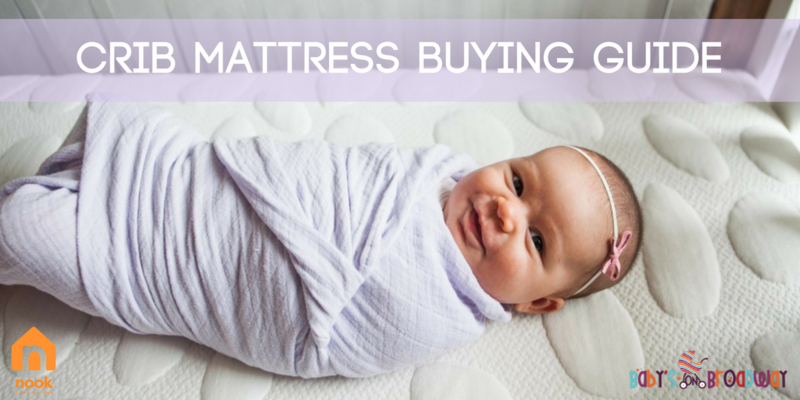 It’s no secret that babies can be expensive, so buying used items is a great way to save money. But before you agree to purchase a “gently used” car seat, you want to make sure you know exactly what you are getting. Here are a few questions to ask before you buy. Has the car seat ever been in an accident? Did you know that you are supposed to replace your car seat after any accident–even if the car seat seems fine, and even if the child was not in the seat at the time of the accident? A car seat it meant to protect your child in the event of an accident, but it’s not designed to withstand multiple collisions. Small or internal damages caused by an accident can compromise the safety of any car seat, even if it appears to be fine. If you’re like us, you love: a) shopping local and b) super cute shabby chic furniture. We could spend hours (and probably have) browsing through Facebook phots from some of our favorite shops like Ramshackled Treasures (Zimmerman, MN) and Second Hand Rose (Buffalo, MN). You may have noticed a lot of our store displays sport this shabby-chic look. We love the character it adds to our store! So what better way to support local businesses and your love design than to add a shabby-chic element to your nursery! Here’s how you can bring this cute and affordable look into your nursery! 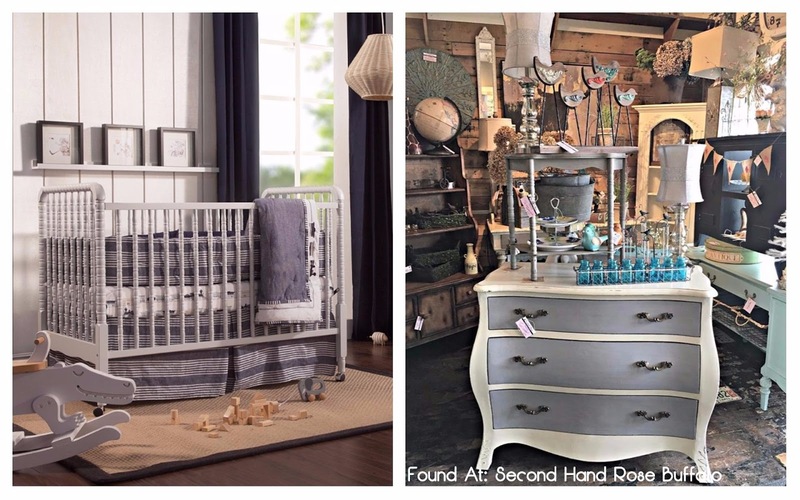 Start by finding the perfect crib for your nursery. If you are looking for something cute and simple, try the Jenny Lind crib. This style is wildly popular and you can mix and match with any type of dresser. Gray makes for a classy, simple look, but if you’re more daring try something a bit bolder by choosing a pop of color for the crib. When you are looking for a dresser, try to find one that is at a comfortable height so it can double as a changing table. We recommend using the Peanut Changer (found here) on top because it is non-slip and waterproof so you don’t need a changing box. Of course, storage is key, especially if you want your pieces to grow with your child, so make sure you find a dresser with plenty of drawers. The options are endless, and it can be a lot of fun to shop around. You are sure to find some unique pieces, so have fun making them a focal point of your room! Armoires are a great way to add more style and storage to your room. 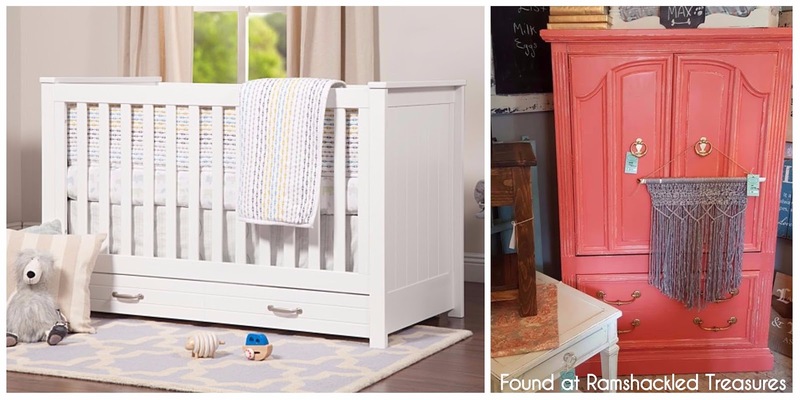 We love this coral piece from Ramshackled Treasures paired with a sleek, crisp white crib. With so many ways to get creative, the nursery possibilities are endless! Head on over to one of your local refurbish boutiques or get your DIY on! If you give it a shot, we’d love to see–tag @babysonbroadway on Facebook or Instagram. Twins have been all the buzz in Hollywood lately; first George and Amal, and now Queen Bey herself, have finally given birth to twins! 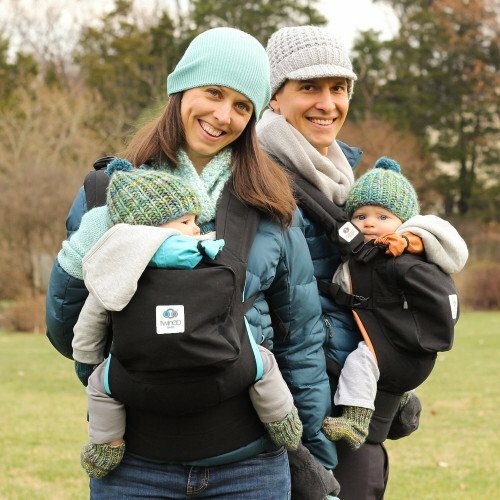 With all the twin-talk goin on, we figured we’d share some of our favorite products made for multiples. A functional stroller is an absolute must-have for twins! 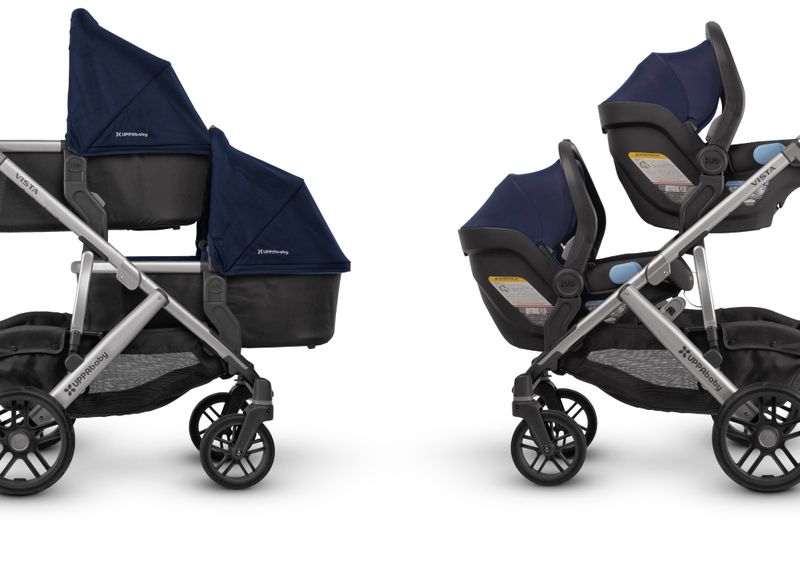 Uppababy Vista is the ultimate double stroller that will last for years! You can fit 2 car seats, 2 bassinets, 2 toddler seats, or mix and match to make going out-and-about with two littles easy as can be. Definitely a great investment! Feeding one baby is tricky enough, let alone two! 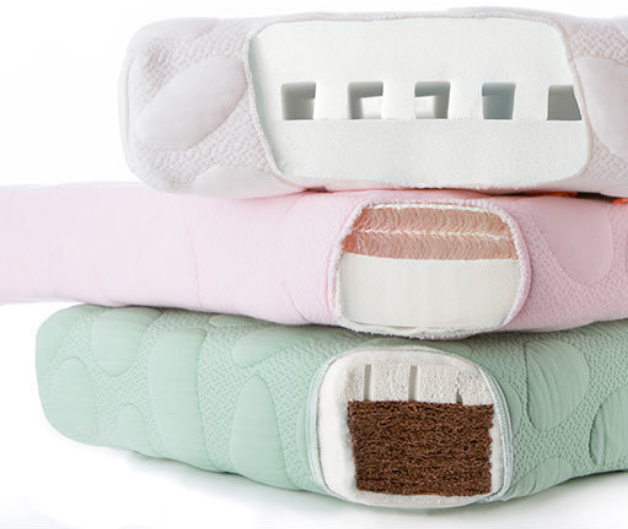 Here to save your sanity is the TwinZ Pillow, a specially designed feeding pillow for twins. 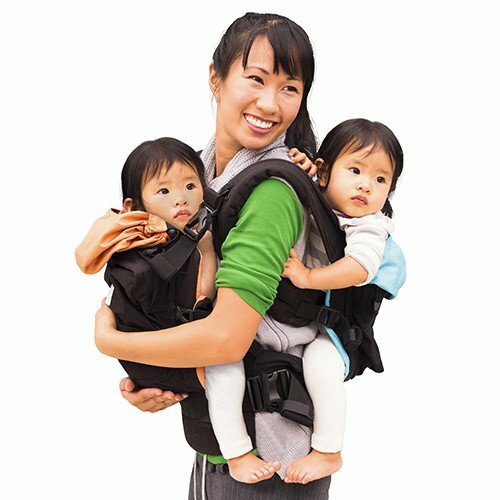 It’s unique shape lets you feed both your little ones at the same time, whether you are breastfeeding or bottle feeding. It also works great for tummy time and play time! If you’re a family that will be on-the-go a lot, a baby carrier is must. But with twins, the options are limited. That’s why we love the TwinGo carrier that lets you carry both babies at once! If you are going solo, the TwinGo can be worn with one child on the front and one on the back. But if you have a helper for the day, you can split it up and carry one child each. Perfect for going to busy events that aren’t very stroller friendly. Share this with a new or expectant mama of twins that you know! Let us know some other innovative twin products that you love! Still searching for that special Mother’s day gift for a mom-to-be? We have rounded up some of our most-loved mom products to make gift buying a little easier for you. A diaper bag from Petunia Pickle Bottom, JuJuBe, or Little Unicorn is the perfect gift for the mom who needs function and loves style. Each bag has plenty of pockets so every bottle, bib, and binky is in its place. Moms could always use some me-time. Giving her some luxury skincare products lets her take some well-deserved time to pamper herself. Basq Skincare carries a complete line of pregnancy, stretchmark, and skin products that are love my moms everywhere–even celebrities! 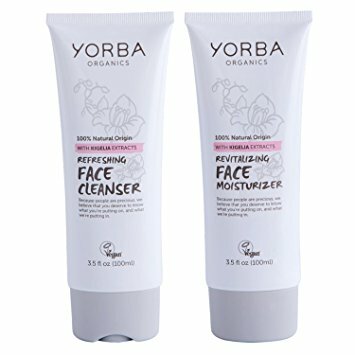 Yorba Organics also has a line of products made for mom including face wash, face moisturizer, exfoliating clay wash, and more. They smell amazing and are all organic! 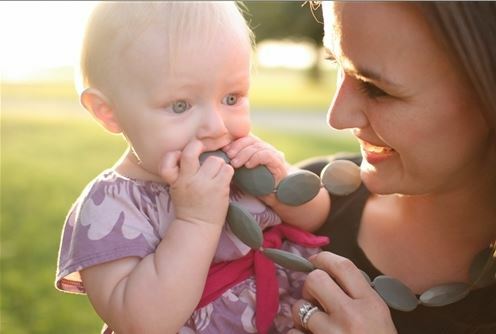 Mom will adore these fashionable accessories that double as functional products for baby! Covered Goods infinity scarves do quadruple duty, serving as a scarf, nursing cover, cart cover, and carseat cover! If you’re not sure what she wants or needs but still want to treat her to something special–go with a gift card! Let us help you get her a gift she’ll love! Just stop in or give us a call at 320-639-2229. We can even ship to your door!